this attack is a 50% change to get a critical hit. Comments : donald duck is a fames disney character. he is a duck. 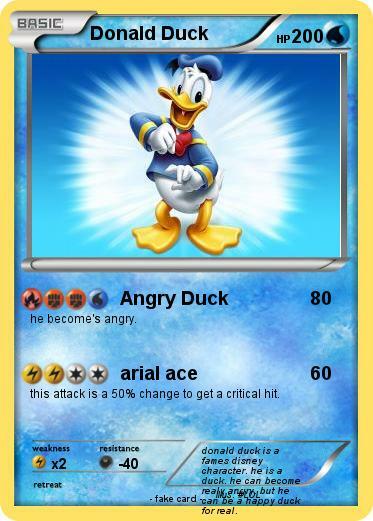 he can become realy angry. but he can be a happy duck for real.